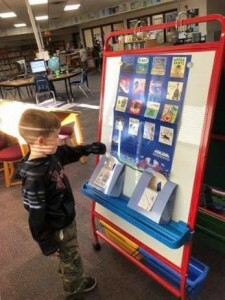 Here it is, the 2019 Redbud Read-Aloud Handbook, updated November 2018. 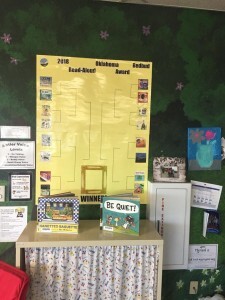 Complete with goals, recommended strategies, voting rules, voting form, sample bracket, and a list of “Not Quite Redbud” books. Don’t forget to join the Redbud Read-Aloud Discussion Group on Facebook! Thank you for participating! Click the link below to view the manual. 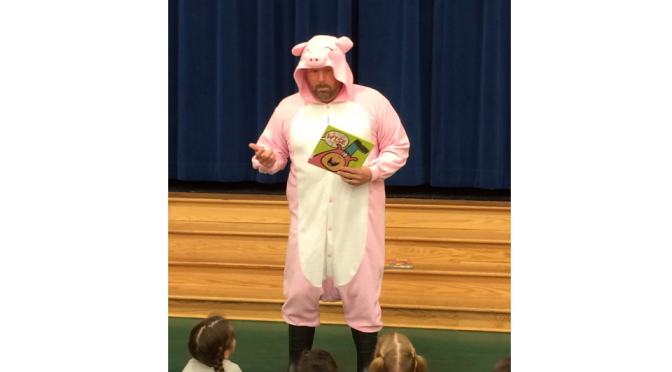 First, let’s reflect upon the first-annual Redbud Read-Aloud program…. Here is a link to the Redbud Announcement, which was emailed out recently. If you don’t receive our newsletters, PLEASE contact us and we’ll try to help them get to you. By Labor Day, we will be adding more 2019 Redbud info on this site, including a new Redbud manual, an “Almost Redbud” book list, a recommended bracket, and extension/activity guides to use Redbud books across the curriculum. We can even make a customized bracket for you with your own matchups – on request. Please order your Redbuds from Perma-Bound – just search 2019 Redbud online and use promo code OKR18 to save! Thank you for participating in the Redbud Read-Aloud Award program – and for all you do for Oklahoma students! Here are some pics we’ve received from Redbud Read-Aloud schools! 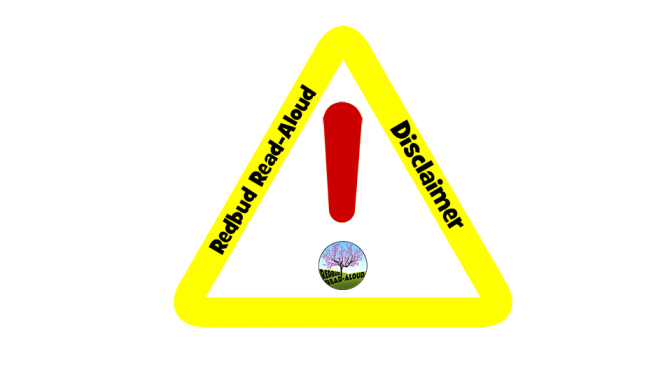 Did you know about the Redbud Facebook discussion group? It’s a great way to share ideas with your colleagues across the state. 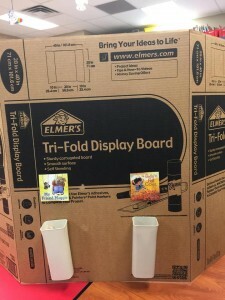 If your classroom teachers are participating – invite them to join too! 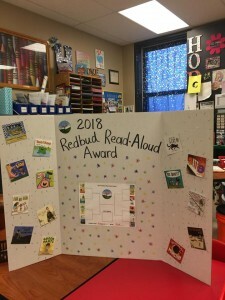 While one of the main goals of The Redbud Read-Aloud Award program is to help increase excitement and participation in The Oklahoma Sequoyah Book Award program, The Redbud Read-Aloud Award is not associated with The Oklahoma Library Association or the Oklahoma Sequoyah Book Award. Please direct all Redbud questions or concerns to us. Stop by our booth at OTA/Encyclo-Media to pick up your 2018 Redbud Read-Aloud Poster – shown below. Not coming to the conference? After you order your 2018 Redbuds from Perma-Bound, let us know and we’ll send you one. Don’t forget to use promo code OKR17 to save! 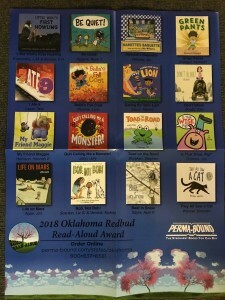 Introducing the NEW 2018 Redbud Read-Aloud Award Program for PK-2nd grade Oklahoma students! Check back here September 1st for a list of sixteen great read-alouds, including TWO by OKLAHOMA authors!!! A poster and more program information, including pacing guide, bracket, lesson plans, and more will be available by October 3rd. Pick up yours at the Perma-Bound booth at OTA. AND THE 2018 REDBUD READ-ALOUD AWARD WINNER IS…….